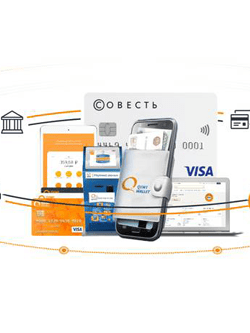 Qiwi is a popular Russian online payment provider that offers its services in over 20 countries, including Russia, Ukraine, Latvia, Great Britain, Georgia, and Estonia. The company has been in operation since April 2008, providing its customers with secure, quick, and simple ways to pay for online products and content. The Qiwi Group supports a huge variety of services and products, including payment terminals and cards. Above all, Qiwi is an e-wallet service with more than 20 million active users across the world. The Qiwi wallet is accepted by over 13,000 online merchants but is also widely used as a payment option across various online casinos. It enables gamblers to deposit and withdraw without compromising their sensitive information. Players are also provided with the option to link their Qiwi e-wallets to virtual VISA cards they can create in a few clicks only. 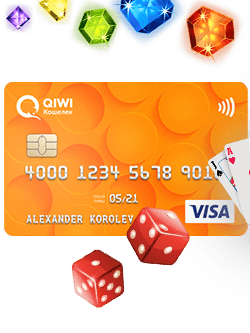 If you are a Russian casino player interested in using this method, we suggest you go through the following article to see if Qiwi and its virtual VISA cards are the right payment solution for you. As stated in the overview, Qiwi is an e-wallet that enables you to deposit and withdraw to and from your preferred online casino without the necessity of having a credit card or a bank account. This e-wallet can be linked to a virtual VISA card but before you get there, you need to sign up with a Qiwi account and top up the wallet’s balance. You can create an account in less than a minute. The only information you need to provide is your mobile phone number. It is of essential importance for you to enter a valid, active mobile number since the Qiwi system will send you a one-time code as a text message to activate your account with. You can register an account via the payment method’s website, its mobile application or at a Qiwi terminal. Note that you need to enter your own number – you cannot use someone else’s. After you enter the one-off code in the specified field, you can create a 7-character password you yourself have come up with. You use this along with your mobile number to initiate Qiwi payments. We recommend you choose a combination of lower and uppercase letters and numbers to better protect your Qiwi account. When you first sign up, your account is assigned a “Minimum” status and you need to successfully verify your identity to lift the restrictions on your payments. If you skip on this step, you will not be able to transfer money to foreign-based casinos (or any offshore sites for that matter) and transfer funds to other e-wallets. The verification procedure is a bit of a hassle, especially for Qiwi users who are based outside Russia. They need to provide a passport with a notarized translation if they wish to attain what Qiwi dubs a “Basic” status. Foreigners looking to upgrade to a “Professional” status must also present a residence permit or a migration card along with their passports. After you have set up your Qiwi wallet, you need to fund it. You have a choice from a variety of methods, including bank transfers and credit/debit cards. You can also transfer funds from another e-wallet or make a cash deposit directly at one of the Qiwi terminals. Note that it is impossible to use foreign-issued cards to fund your Qiwi balance. Also, the funds you add to your e-wallet will appear in the local currency, RUB. Registering for the e-wallet makes you eligible for a virtual VISA card. These cards are provided at no cost and are accepted at all online casinos that work with the VISA brand. You can apply for your virtual card by logging in your Qiwi account and clicking the “Release” button under the Bank Cards tab. Your card details will be instantly available, including its number, expiration date, and CVV code. You use it the same way you would use a regular plastic card. However, the virtual Qiwi cards have no cardholder name. When you deposit at a casino, you can enter your own name in the respective field in the cashier. Since the card is practically linked to your Qiwi e-wallet, its balance is the same as that available in the wallet. Each virtual Qiwi VISA card remains valid for a period of two years. You can apply for a new one for free. After you have set up your Qiwi wallet and virtual card, you need to sign into your casino account and navigate to its cashier page where you select the method from the available banking options. If you choose the e-wallet, you log into your Qiwi account with your mobile phone number and password, enter the preferred deposit amount, and confirm the payment. You will see the deposit instantly transferred from the card’s balance to your casino account. The process is roughly the same when you deposit with the virtual card, only this time you need to fill in its details – the CVV code, the card’s number, your name, and its date of expiry. The great thing here is that you can deposit with the virtual card at all online casinos where Qiwi is unaccepted as long as they allow for payments conducted with VISA. Deposits with Qiwi’s virtual VISA cards are immediate and rarely involve fees on behalf of casino operators, but we will tackle this subject in more depth later on. Provided that Lady Luck smiles upon you and helps you earn a tasty payout playing your favorite casino games online, you can request a withdrawal to your e-wallet or virtual card. Withdrawing is almost the same as depositing, only this time you will need to wait for a while until the casino evaluates your withdrawal request. The money will appear in your e-wallet balance as soon as the operator clears the transaction from your casino account. This process rarely takes more than 48 hours, but it all depends on the policies of the casino operator you are gambling with. There are lots of advantages that result from choosing Qiwi’s wallet or virtual card as a casino payment method. First and foremost, Qiwi deposits are instantaneous so the money is available in your online casino balance within a couple of seconds after you confirm the transfer. Withdrawals are also rather time-efficient, with most casino operators transferring the funds to your wallet’s balance within the same day after approving the payment request. Transactions conducted with the method are largely free of extra charges although some online casinos may charge you a nominal service fee for Qiwi withdrawals. You need to check with the casino’s support staff on what their withdrawal policies are. Topping up the balance of your Qiwi wallet or virtual VISA card could not be any simpler (or safer for that matter). There is a variety of methods you can use. Those who do not have bank accounts or plastic debit/credit cards can fund their wallets in person, at the nearest Qiwi terminal or kiosk. The wide availability of the method is yet another plus. Even if your casino of choice does not work with the Qiwi wallet itself, you can still top up your balance as long as it supports payments with VISA. You can use your card for deposits and withdrawals. The method also allows for paying on mobile, which is great for players who spend lots of time on the go. The necessity of registering an account may be inconvenient to some casino players, especially those based outside Russia. Your Qiwi account must be verified if you wish to benefit from its entire arsenal of capabilities and increase your spending limits. Unfortunately, this verification process is quite a hassle for foreigners who need to provide identification documents (such as passports) with a notarized translation. Furthermore, this verification can take place only in person at a Qiwi office on the territory of the Russian Federation, which is a major inconvenience. Conversion fees may also be a problem for some casino players who deposit in currencies other than the RUB, in which case they may be charged extra. That being said, it is possible to fund your Qiwi wallet and virtual VISA card in several currencies – RUB, KZT, EUR, and USD. Qiwi and its associated virtual cards pose as relatively affordable casino payment solutions. Registering for the e-wallet service is free of any charges and the same goes for creating virtual VISA cards. There are no fees for funding the balance of your e-wallet via plastic cards provided that the sum does not exceed the amount of ₽2,000. However, an exception is made when you replenish your e-wallet with an amount over ₽2,000, in which case you have to pay a 1% fee. Those who use mobile billing and replenish their e-wallets or virtual cards from the balance of their phones are charged a commission that ranges between 7.5% and 12%. Players are not charged extra for depositing via their virtual VISA cards when the transfer is conducted in RUB. When you process deposits in currencies other than the local ruble, there is a 2.5% commission for currency conversion. Other than that, the majority of the online casinos do not charge additionally for payments processed with Qiwi and its associated virtual card. Casino mavens who choose to deposit and withdraw via the Qiwi virtual VISA card will benefit from great efficiency and speedy money transfers. As a general rule, deposits with this method take place instantaneously, with no waiting times to spoil your gaming experience. The funds hit your casino account a few seconds after you authorize your Qiwi deposit. Most casinos would automatically return your winnings back to your e-wallet or virtual card if you have used this when depositing. There are pending times for withdrawals, however, so do not expect the reverse process to be as quick as depositing. Many gambling sites give you the chance to reverse your withdrawal requests while they are still processed, which normally takes between 24 and 48 hours although some operators may keep your withdrawals in a pending state for a period of up to three days. Once the request is approved, the money will be with you within a day tops. Qiwi works seamlessly on the majority of iOS and Android mobile devices. You can log into your Qiwi account directly in your browser but there is also the option to install the native iOS and Android applications of the payment platform. These are available for a free download at the App Store and the Google Play Store. 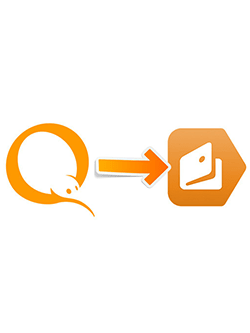 The two apps offer the same functionalities as Qiwi’s desktop version. You can sign into your Qiwi account with your mobile number and password, replenish your virtual card from your phone’s balance, and conveniently process your casino payments as you go. It is also possible to save and use ready-made templates for your money transfers. The only downside of using the mobile apps is that these support Russian only, which may be a major detriment for players who are not fluent in the language. However, Qiwi is constantly updating and improving its apps and might introduce English as a language option sometime in the near future. The iOS app, in particular, is compatible with iPads and iPhones running on iOS 9.0 and above. Qiwi has established itself as a reliable online payment method that takes all the necessary precautions to protect its customers from frauds. Qiwi transactions are closely monitored at all times which helps detect fraudulent activities in a timely manner and safeguard payees from all emerging threats. There is, of course, an SSL encryption that makes security breaches next to impossible. Qiwi provides its customers with the option to confirm payments via text messages with special one-time codes, which further enhances the security of their funds. If the worst comes to the worst and you establish your Qiwi virtual card had been subject to a cyber crime, you can request them to block your account either permanently or temporarily by filling out the form on the method’s official website. Of course, if you wish to benefit from optimal security, you need to register at a legit online casino supporting Qiwi payments. There are several ways to tell whether a given Qiwi casino is trustworthy or not, starting with its use of a 128-bit or a 256-bit SSL encryption. This encrypting technology gives you the exact same level of protection your bank does as it transforms your information into an undecipherable code. You can easily tell whether a Qiwi casino is SSL-encrypted by checking your browser’s address bar. If there is a padlock or “https” in front of the casino’s address, it is SSL-certified. Trusted Qiwi casinos always use Random Number Generators to ensure the outcomes of their games are arbitrary and unbiased. The software must be audited by a reputable third-party testing agency, like eCOGRA or iTechLabs for example, so another thing to look for is a certificate for randomness with the seal of approval of these auditors. Major casino operators would also post the results of the audits so that players can see the average return percentages of the available games. Last but not least, you should check whether your Qiwi casino of choice is licensed and properly regulated. Licensing information is typically displayed toward the bottom of the home page in the website’s footer. If the casino does not meet these criteria, you better skip on playing there. There is no shortage of reliable gambling operators on the internet. Can I use Qiwi’s virtual VISA card for deposits and withdrawals? Yes, this method can be used for deposits as well as for withdrawals but the availability of each depends on the casino you have registered with. You can always contact the casino’s customer support and ask if you have doubts. What methods can I use to fund my virtual card? There is a variety of methods you can fund your Qiwi account with but do not forget cards issued abroad are not an option in this case. Other than that, it is possible to fund your Qiwi from the balance of your mobile phone, via cards, bank transfers, and even in person by visiting one of the Qiwi landbased terminals or kiosks. Is the Qiwi Virtual VISA card available to players based outside Russia? Although Qiwi primarily targets the Russian market, it is also available to customers from over 20 other countries, including Ukraine, Estonia, Latvia, Japan, Romania, and Panama, among others. The number of online casinos to support Qiwi payments is also on the rise in recent years. You can practically use your virtual VISA at all casinos that support this card brand. Can I change the mobile number of my Qiwi account? No, changing the mobile number of your Qiwi account is impossible because you practically use it in place of a username to sign in. On the occasion of you changing your mobile number, it is recommended to register a new Qiwi account and transfer the balance of your old account there. How can I withdraw from the balance of my Qiwi account? There are several ways for you to withdraw money from your Qiwi virtual VISA card. You can request a withdrawal to a physical card after you provide its number. Your other option is to transfer the desired amount directly to your bank account although transfers between e-wallets are also possible. Depending on the method you use, the transfer may take several minutes to five banking days.